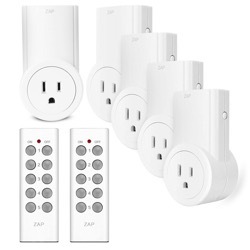 I added these RF remote-control switches to our house a few months ago and been very happy with my choice. They install easily, work well even between rooms with many walls separating them and helped me clean up a lot of clutter that had sort of grown organically in the family room. We had several light switches that were connected, replaced, moved, and hard to access, but these outlets provide a handy remote interface to everything now. 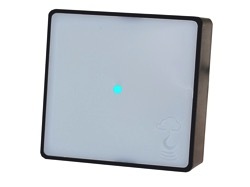 You can even connect these outlets to your network and use your phone or Amazon Echo to control them, if you add a wifi-to-rf bridge to the network. That might just be the next step for me.